Check out 25 exquisite and gorgeous dulhan mehndi designs to flaunt this season. These designs are extremely popular in 2015! Your big day is nearing and you have a little of everything – man of your dreams, the perfect wedding attire, jewelry, makeup and hair to accentuate your beauty. Now all you need is the special mehndi design that you will cherish for years to come. Every bride wants to ensure that her bridal mehndi is perfect for her and the big day. 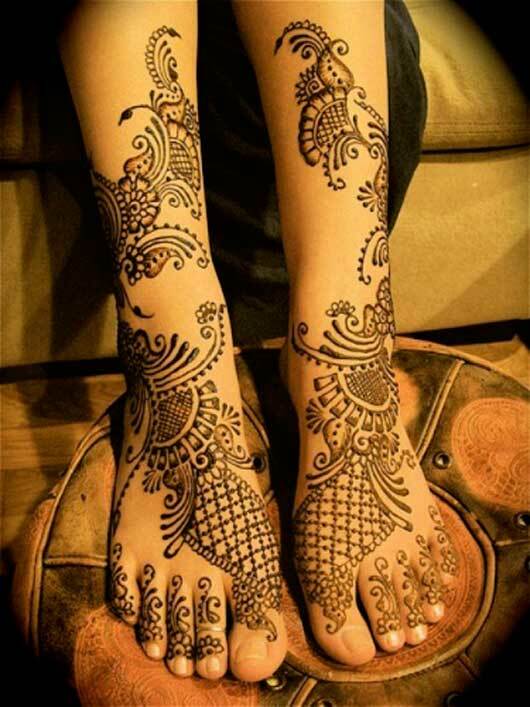 Mehndi can make your hands and feet look very beautiful. No Indian wedding is complete without a Mehndi ceremony which is one of the most important and oldest pre-wedding ceremonies. 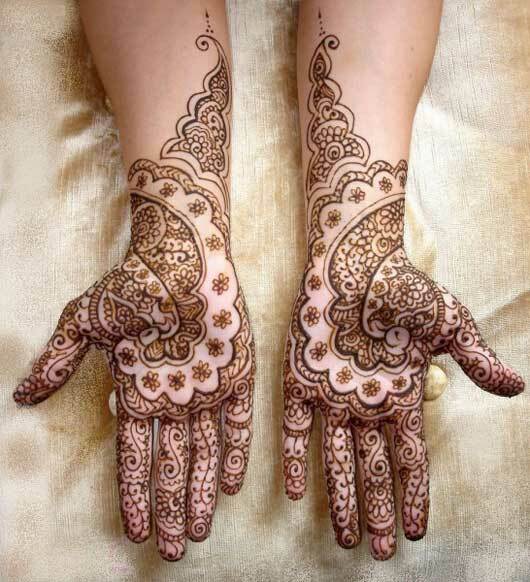 This is the day when the bride-to-be adorns her hands and feet with beautiful mehndi designs. Mehndi night is one of the most fun-filled ritual in Indian marriages with every family member and friends of the bride-to-be being part of it. Application of mehndi is also mandatory for the bride-to-be as it is considered to bring happiness, good luck, and also represents the bond of matrimony. Many other popular beliefs are attached with this tradition. The darker the mehndi, the deeper is the love between the couple or the understanding between the bride and the mother-in-law. Mehndi is also a powerful medicinal herb. It helps to prevent stress on the big day by cooling down the body and relieving the tensed nerves. The medicinal herb also lends a strong shield to the bride-to-be from viral diseases which are totally undesirable at the wedding time. It is also said to boost romance in the initial days of wedding as the color and smell stays for a few days. So, if you are the bride-to-be, you truly deserve to adorn your hands and feet with the most beautiful mehndi design. You may opt for a delicate, simple design or a traditional full detail mehndi pattern with floral motifs, betel leaf designs, and intricate patterns. The mehndi designs of a bride-to-be are usually very intricate and unique represented as flowers, leaves especially mango leaves, peacock shaped and many other designs. The groom’s initials can also be hidden in the intricate design of the mehndi. You may also choose to include glitter and stones to create a beautiful mehndi design and stand out from the rest. We have compiled some 25 most unique dulhan mehndi designs to make you look exquisite on your big day. These designs will surely come handy to help you accentuate the beauty of your hands and feet!